Podcast, News and Event listings – All Things Railroad! We started developing Apps at it seemed it might be a logical and useful extension of the podcast and website. After building the TrainTalk.TV app on the iPhone we built an app for the Supertrain Train Show and then ported them both to Android as well. 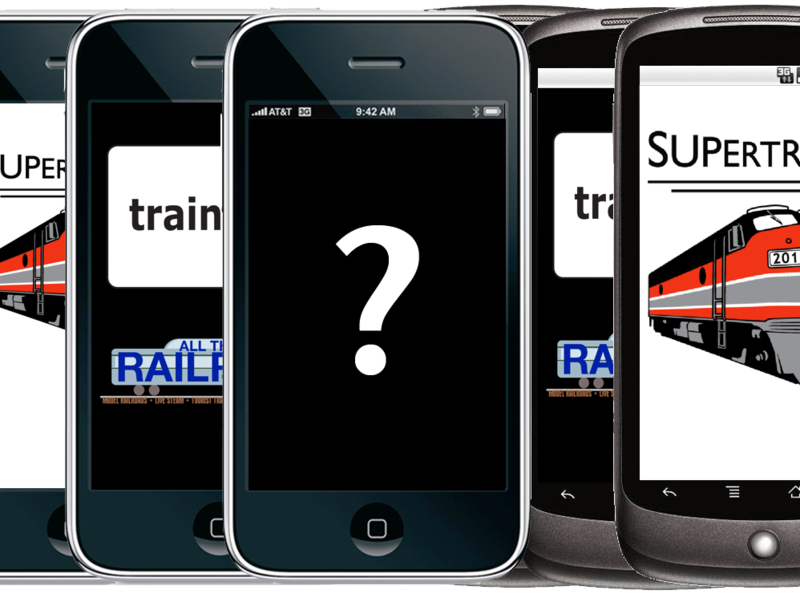 More than a thousand TrainTalk app users seem quite happy to access their news and Weekender event listing from their cel phones. Supertrain is a once a year show, and the Supertrain App was a total experiment. While it is not in use year round, it enjoys heavy use just before and during the show. More than 600 people used it for last years show and it was only released a few days prior to the show! We’re putting a few new tricks into Supertrain version 2, which is almost ready to launch. We hope to do a tourist railraod App for someone soon, to round out the types of Apps we can produce, and then… we’d like to offer the service of App development. So if you know of anyone who might be interested, please let us know! Came across Train Take in the itune store yesterday. downloaded show #25 and found it very well done and informative. I’ll follow you pad cast and web site from this date forward. Thanks for providing a good product. Working on a Blackberry Application? Sadly, no. Or at least not yet. I use a middleware tool to assemble the App and they don’t currently support Blackberry. If you know of an RSS aggregating App generation tool for the Blackberry, Let me know and I can give it a go. Why 600,000 Australians tuned in to watch a silent three-hour train ride! Win tickets to the Vancouver Train Expo! Bluetooth-Controlled Model Trains Will Completely Revitalize the Hobby, If We Are Smart Enough to Let Them. Sign Up for our Railway Weekender Email News Today!